Even though the Cloud Cities reside on the Etheric Plane, they are considered part of Kether, because they vibrate at the Kether frequency. The Cloud Cities can be accessed the first time from the Kether Transit Hub at the Open Mysteries Transit Terminal stargates. The Cloud Cities vibrate at the Kether or Spiritual frequency so that only the highest of spiritual frequencies is radiated into the earth. The Cloud Cities are full of entities and people from many places: Ascended Masters including ascended extraterrestrials, Archangels, spirit guides, nonphysical people, physical people that are out of their body. These cities have one purpose and that is to help humanity grow and evolve. They are the action centers for helping the planet through these trying times. When you reach a certain spiritual level, like you would by being able to enter Kether, you can or may wish to help humanity. While not required for your spiritual evolution, most light workers feel they want to give back. By going to these cities, you can aid the spiritual movement on this planet. Usually when you go to the Cloud Cites, you will be given physical or nonphysical tasks to do to help. Some of these tasks may be as simple as helping someone in your physical sphere, to working on other realities, on the global mind, or upcoming global events. You will find Dragons here (Aethyr level DEO or Tree of Life place Justice Glade). Dragons often get their direction from the masters that work here. Everyone you meet in this place is of the highest caliber in the universe and dedicated to helping the planet in some way. It is very fulfilling work, and I encourage you to go here and bring your special spiritual skills to the cause. Anyone who opts to take part in the Great Work, will get a Cloud City apartment you can use at any time. These apartments make it easier to come and go from the earth plane to the cities, especially for the people that are not corporal. Many newly deceased people with high spiritual skills will live in these cities. It is common to see this place full of busy people filled with spirit and willingness to help others. The Cloud Cities reflect what the earth could be like one day: peaceful, a loving environment, personal excellence, and happiness with more to spare. 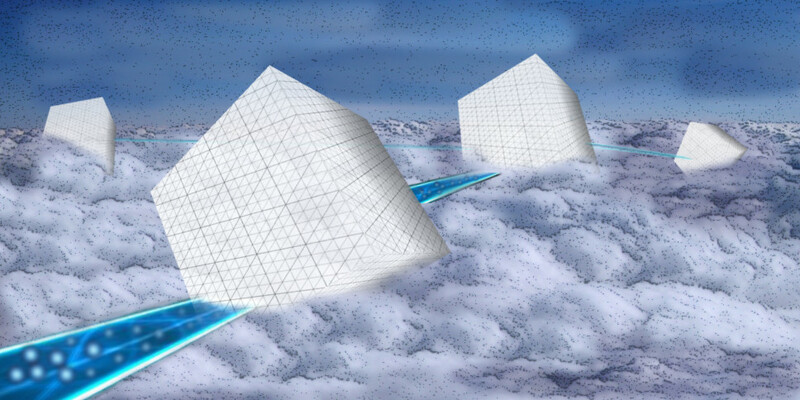 Shambhala is connected to these cloud cities. Saint Germain can be found here, masters of the 12 rays, along with the planetary energy of Sanat Kumara, and the energy of Tzadkiel.